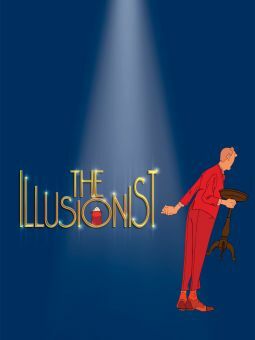 Filmmaker and actor Jacques Tati reinvented the art of slapstick comedy, expertly dissecting the nature of sight gags and pratfalls while exploiting viewer expectations to create an ambitious, richly detailed cinematic parlor game perfect for exploring the infinite mysteries of the modern world. Born Jacques Tatischeff October 9, 1908, in Le Pecq, France, he first gained notice as a professional rugby player before beginning his performing career in area music halls as a pantomimist and impersonator. Tati mounted his first film short, the comedy Oscar, Champion du Tennis, in 1931, but never saw the project through to its completion. His subsequent early work, including 1934's On Demande une Brute, 1935's Gai Dimanche, and 1936's Soigne ton Gauche, presaged his later features in their fascination with natural and mechanical sounds. The outbreak of World War II, which he spent stationed in the village of Sainte-Sévère-sur-Indre, brought Tati's career to a temporary halt, and after completing the 1938 short Retour à la terre, he did not appear before the camera again prior to Claude Autant-Lara's 1945 comedy Sylvie et le fantôme. With his 1947 short L'Ecole de Facteurs, Tati created François the postman, a character he reprised in his feature-length directorial debut, 1949's Jour de Fete. The winner of Best Screenplay honors at the Venice Film Festival, Jour de Fete established the riffing gag formula which Tati continued to hone throughout his later features, again employing sound as a means of comic focus. 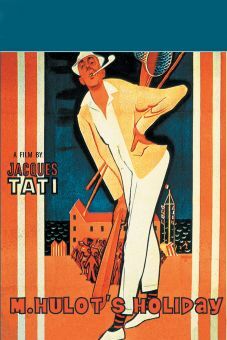 However, Tati found the François character lacking, and began creating a new persona whom he dubbed Monsieur Hulot; a poker-faced cipher perennially clad in a crumpled raincoat, always with a pipe in his mouth and an umbrella in his hands, the perpetually irresolute character proved the unlikely and often unwitting catalyst behind Tati's ambitious gags. First appearing in 1953's Academy Award-nominated Les Vacances de Monsieur Hulot, the persona became immensely popular, and remained Tati's alter ego for years to come. In Hulot, he found the perfect vehicle for his complex comedic designs. In a radical twist on conventional gag structure, the character toppled the first domino in the chain of events but then often disappeared from sight, allowing the full scope of Tati's Rube Goldberg-like comic processes to fully bloom without the distraction of a lone central character to distract audiences from the bigger picture. In his stumbling journeys through the modern world, Hulot became the perfect vessel for his creator's musings on the nature of humanity in relation to the consumerism and mechanization of contemporary society; the persona also allowed Tati to subvert the rules of film comedy by toying with the notion of the punch line, a payoff often delayed or entirely ignored to further play against viewer expectation. The cumulative effect was almost labyrinthine in its comic possibilities, and indeed, Tati's films grew so complex that only repeated viewings allowed his work to achieve its full effect. 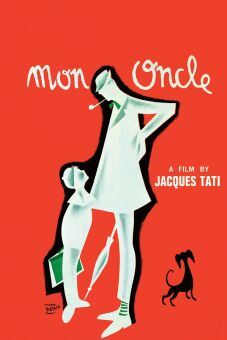 The intricacy of the Hulot films took Tati years to achieve, and as a result the second film in the series, Mon Oncle, did not appear until 1958. The winner of the Prix Melies at the Cannes Film Festival as well as an Oscar for Best Foreign Language Picture, it was the last Tati film for close to a decade, as it took the director until 1967 to deliver his masterpiece, the big-budget 70 mm production Playtime. A remarkable essay on life in the post-industrial world, the movie's long gestation crippled the momentum of Tati's career, and was a major commercial disaster upon its release; he never fully recovered from the setback, and 1972's Trafic, the fourth and final Hulot feature, was also a box-office disappointment. In 1974 Tati released Parade, a low-budget collection of slapstick gags and pantomime which he shot on video; it was to be his last completed work. He died November 5, 1982. Worked as a picture framer in the family business. Played tennis and rugby growing up. Named one of the Greatest Movie Directors by Entertainment Weekly.